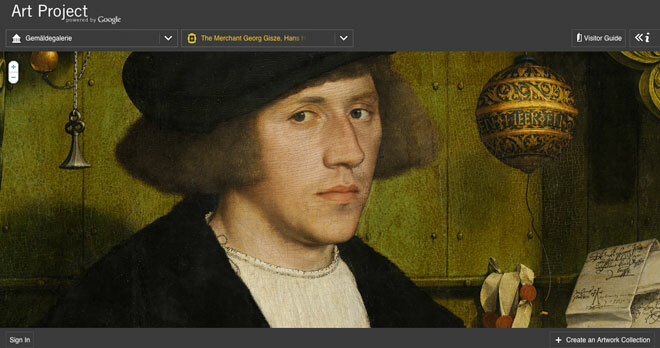 GoogleArtProject deserves best site of the year award. Its basically a virtual "multi"museum, showcasing masterpieces from all around the world. Each artwork can be viewed with high resolution (including a 360 degree view of the gallery room). A visitor guide with captions, links to related topics, artist bio and further artwork are conveniently provided for each masterpiece. of all The great zoom in option almost makes up for not being there in person. The website currently boasts more than 1,000 artworks on the website, but Google already has plans to keep expanding. I think this is a great step towards better art education. I wish I had access to this during my art history classes. Very impressive, the next step is showcasing temporary collections/exhibitions.